SureCrete's SC Matting Agent™ provides the optimum, consistent, sealer gloss control desired by today’s discerning designers. SureCrete’s formula delivers reduced settling of the additive after mixing due to the particulates’ spherical shape and size. 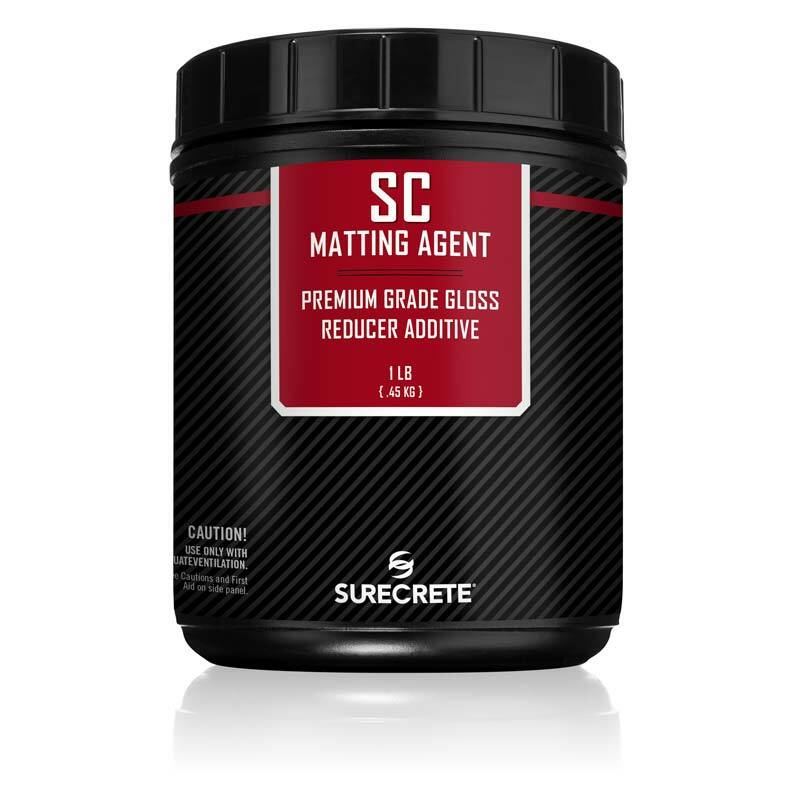 SC Matting Agent™ is a premium grade, micronized polypropylene, gloss reducing matting agent designed for specific SureCrete sealers and coatings (see Loading Rates). SC Matting Agent™ provides the optimum, consistent, gloss control desired by today’s discerning designers. 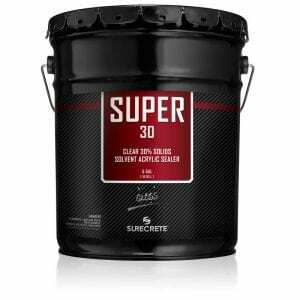 SureCrete’s formula delivers reduced settling of the additive after mixing due to the particulates’ spherical shape and size. 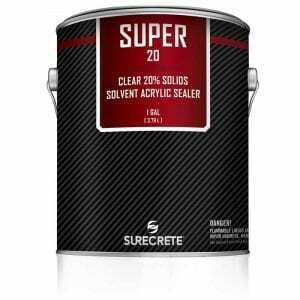 How Much SC Matting Agent™ do I Use? 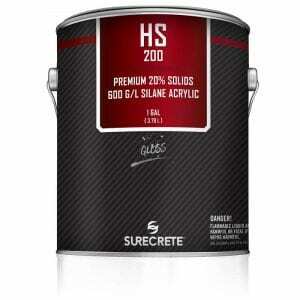 SureCrete’s SC Matting Agent™ can be added to specified sealers and coatings below. Inside each bag is a scoop, measurements below are based on the scoop size provided in the packaging. Scoop measurements are to the top. Take care not to compress material in measurements. 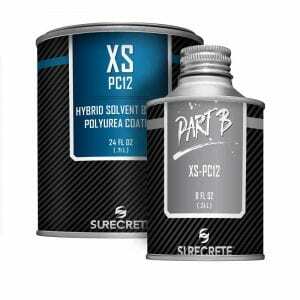 How Do You Mix SureCrete’s SC Matting Agent™? 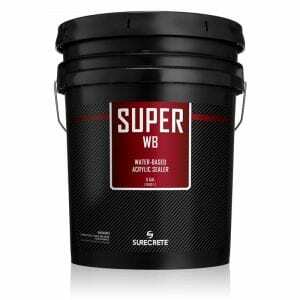 Mechanically mix (with jiffy style mixer) for 2 minutes at medium speed into chosen sealer. 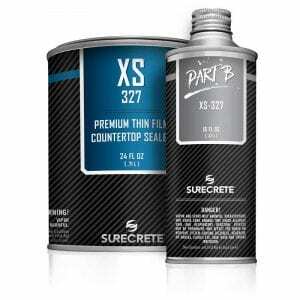 When mixing SC Matting Agent™ into Dura-Kote Solvent-Based Polyurethane DK 400™, add scoops to the Part “A”, mechanically mix (with jiffy style mixer) for 2 minutes at medium speed. Once mixed properly, continue with mixing Part “B” as described in the appropriate TDS. recommends this on all jobs. SureCrete’s SC Matting Agent™ provides the optimum, consistent, sealer gloss control desired by today’s discerning designers. 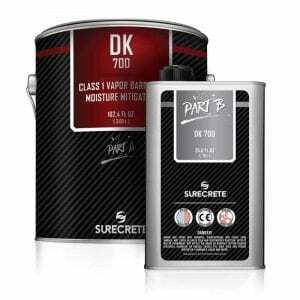 SureCrete’s formula delivers reduced settling of the additive after mixing due to the particulates’ spherical shape and size.